While tigers are beautiful and look like an oversize cat, this fierce tiger looks like you wouldn't want to mess with it! 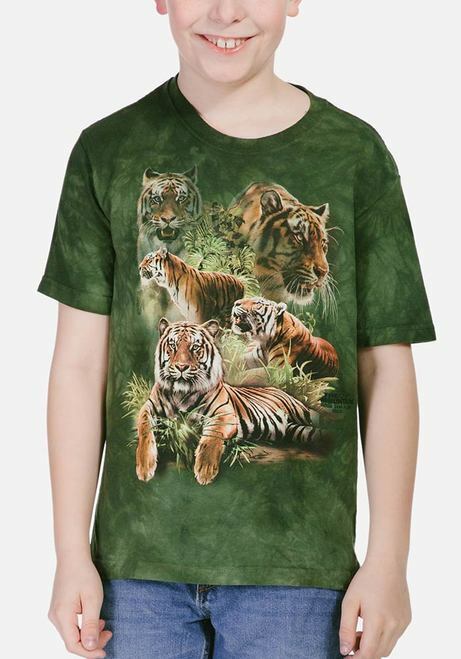 This children's big cat t-shirt from The Mountain® features the big face of a white tiger with stripes that look like tribal markings. Did you know? Contrary to popular belief, White Bengal tigers are not a separate species in their own right, but are a mutant form of the orange Bengal tigers.